This is a guide to help people who are planning on going on day hiking trip through the backcountry or a longer camping or hiking trip into the forest. A short or moderate trip is sometimes overlooked as a good cause to prepare for a scenario where a person might be unable to go back home for an extended period of time due to getting lost, injured, or some other reason. Being prepared for any type of event that the wilderness can throw at you could help prevent a bad situation from becoming worse. Below is a list of ten essential things to take on a trip for those who don't want to get to flashy with their budget on building a bare minimum survival kit. These are the ten items that a person should never go into a day hike or camping trip without. These items are not only an inexpensive few extra pounds of gear that take up little space, but could end up playing a critical role in a person's ability to survive if they end up getting stuck out in nature. The original list was created by The Mountaineers, whom are based in Seattle, Washington. The Mountaineers are a club that represents a group of people who are an outdoor recreation, education, and conservation group that was founded in 1906. They were originally part of the Mazama Mountaineering club in Oregon, but branched off to form their own Seattle based group years later to form their own expeditions. The list was created in the 1930's by authors of the Mountaineer club to help provide a set standard bare essential survival kit list guide-book for hikers, backpackers, along with climbers. Although most people never have to use the items, it does help improve chances of survival should an emergency arise. The list is chosen for alpine forest regions, and can be adapted accordingly to seasonal along with geographic locations, such as a warmer desert climate (extra water). Use this checklist when planning your next trip. The list has been altered over time to fit the needs of the technology of the era along with geographical location people are visiting. After the ten essential items here are some other items to consider bringing along depending on the circumstance and duration of the trip. Water Purifier: People can only carry a limited supply of water around with them during a trip into the back country. If someone has to find a water source to survive due to some unplanned event happening to them, they will need to find a way to purify it before they can drink it. Packing a lightweight water purifier can help eliminate the risk of becoming sick when seeking an alternate water source to drink from after being stranded out in the backcountry. Emergency Shelter: An emergency shelter probably won't be as important for people who are going camping since they are probably bringing along a tent or other shelter with them. Those who are planning on taking a day trip out into the backcountry should consider bringing a small lightweight (1 or 2 ounce) emergency shelter along with them. This is in case they get stuck in a storm and need to keep dry, or they end up having to spend the night out in the backcountry. 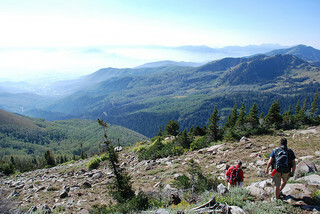 Cell Phone: A cell phone might not work at all locations in the backcountry. 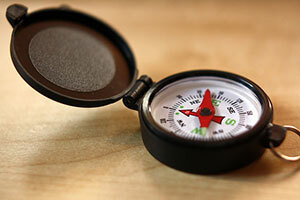 This could make some people deem it useless to bring along during a day hike or short camping trip. While a gully or ravine may not allow people to get a signal to use their cell phone, being able to navigate on top of a mountain or hill could allow them to get a signal to call for help. Plus, the ability to be able to ask for help via facebook or through twitter is also available. Then, most cell phones have a built in GPS device that could allow the user to navigate their way to find help if need be. Whistle and Mirror: The whistle and mirror are two of the most basic signal devices available. They are also two of the easiest devices to take on a trip into the backcountry without taking up to much space or weight during the journey. A whistle can be heard for over a mile in some locations and help a rescue team decipher a person's location. A whistle is also going to last longer than a person's voice from hours of yelling for help. The mirror has been used for a long time successfully to rescue people who were lost or stranded out in the ocean or backwoods. Some rocks and other materials naturally reflect light and can be used to signal for help if trouble arises. This does not make for a good substitute for a signal mirror since they can be up to 75% less reflective. 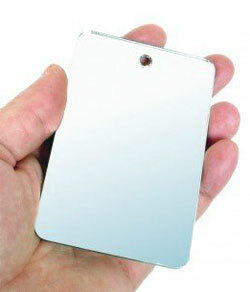 A commercial signal mirror is small (approximately 3 inches x 5 inches for most signal mirrors), but can reach distances of over 10 miles in most regions and have even been known to have their reflection seen up to 50 miles away. This could mean the difference between a rescue team on an opposing mountain or plane flying through the air being able to see a stranded person's location and missing their location entirely. Insect Repellent: Some people do not want to wear restrictive clothing while they are out hiking around during warm weather seasons. Keeping bugs at bay from a harassing buzz or an even more annoying bite can help make a trip more pleasant. This could also be necessary if someone is visiting an area that has a heavy concentration of ticks. Ticks are known to carry the bacterial infection known as Lyme disease which can affect the skin, joints, nervous system, along with the heart. Communication Device: Bringing along a set of walkie-talkie devices can help people who get lost in a party be able to communicate with them to help reorient themselves and find their way back. This is also good for being able to tune into an emergency radio channel or forest service channel to call for help. Knowledge: Having a working knowledge of the items that a person is planning on taking with them is as essential as bringing them along. Being able to understand and work a map and compass, or knowing how to signal in a 270-360 arc using signal mirrors can only help increase the chances of survival should something go awry. Traveling to a place during the winter that has a snow pack or year around snow level presents the problem of a potential avalanche happening. Although the chances might seem small that a person will be caught in one, it is still wise to prepare for the worst if they are planning on going out into the backcountry that has snowcaps. Snow Shovel: Traveling to an area that has the potential for an avalanche to bury a member of a party has the potential to be life threatening if people do not react quickly. Each member of a party should have at least a basic compact shovel they can carry around and take out to use if someone becomes buried underneath the snow. This is to prevent a scenario where only one person carries a shovel and gets buried underneath the snow pack without any way for the rest of the party to be able to help dig that person out. Wand with a flag: For those who are planning on visiting an area with heavy snow cover. Being able to plant a wand with a flag on it is necessary to help a party of people find their way back out once they are ready to leave. This same principle can be applied if people wish use to use markers on tree's while walking through a densely populated forest to find their way out again, or in a desert terrain that has very few landmarks or vegetation for people who are trying to navigate the landscape. Avalanche Beacon and Probe: Having everyone equipped in a party with a beacon and probe can help a rescue team pinpoint the location they need to dig someone out. The beacon can help a rescue team find someone faster than having to search using a grid, and the probe can give them the place to start digging once they have pinpointed it. This list of 10 essential items was created by the Mountaineers to help people who plan on going on a trip away from society into the backcountry, and help them be able to answer some basic questions about survival. The first question being, can you respond in a clear and concise manner to an emergency? Secondly, do you have the necessary items to be able to survive out by yourself for a night or even longer period of time? Each of these 10 essential items will be covered more in depth over the next several articles. Topics will range from the types of compasses that should be used, to the importance of having a medical kit that can treat certain types of ailments for the environment a person is visiting. There will also be articles that branch out on how to use a compass and map, what to pack in a first aid bag, and how to use some basic first aid techniques.